Thomas Duryea Logicalis is on the hunt for new blood to fill its ranks as it comes to the end of the restructure arising from the merger of its individual parts, Logicalis and Thomas Duryea. The merger deal, which was struck in 2015, saw the integration of the two businesses, along with a new name: Thomas Duryea Logicalis. Now, the combined entity has restructured its business and adopted a new go-to-market strategy, with plans to bring on new talent to build out new practices, as well as recruiting additional sales professionals to grow the business rapidly. 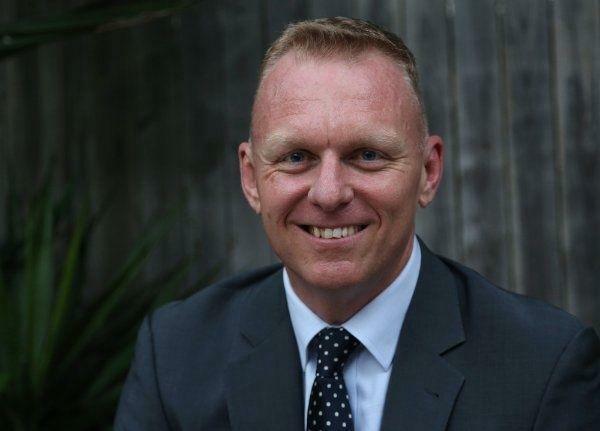 The company also recently announced the appointment of Joe Jones as NSW State Manager. “We are building a new business culture that enables all staff to come together with a common purpose, and that is to enable our customers’ digital transformation,” Thomas Duryea Logicalis CEO, Michael Chanter, said. “To do that successfully, we have streamlined our business to align with current market requirements, and are actively recruiting to bring in the best and brightest to the business,” he said. The restructure is set to see the company divide the business into two main areas of operation: digital transformation and service delivery. Under the new business model, four key practices will be established as part of the digital transformation area: hybrid infrastructure; modern workspace; data and analytics; and security. Chanter said that the restructuring is to align with market conditions as transformation projects are complex and the business is aiming to provide customers with a holistic approach to digital transformation. Chanter replaced Basil Reilley, who vacated his role in September 2016. “As organisations try to navigate digital transformation of their business, our primary objective is to help them identify where they are on their transformation journey, and assist them with the technology and organisation changes required to stay competitive. “By streamlining our business into two major areas, our value proposition is now two-fold: help our customers transform into fully digital businesses by offering them consulting and advisory services; and support their transition by allowing them to offload existing operations, using our managed services and outsourcing capabilities,” Chanter said. According to Chanter, breaking it down further to focus on four different strategies will further allow it to align to new market conditions. “Hybrid infrastructure and modern workplace, which is all about the end-user experience, has always underpinned our business. “But to align with the new market conditions, we have added two more key practices to our new go-to-market strategy - data and analytics, which focus on the strategic value of data; and security, which provides wrap-around security against threats, vulnerabilities, and cyber-attacks across our entire services portfolio,” he added. The new service delivery area is expected to bring managed services, outsourcing and cloud services practices under one umbrella. As part of the new business restructure, Thomas Duryea Logicalis has promoted national practice manager, Damian Zammit, to the role of general manager of transformation services. He will be responsible for establishing, and developing the four key practices that fall under the digital transformation division. Zammit will also expand the local team’s skills and capability, which includes the recruitment of two senior national practice managers, tasked with heading the newly formed security and data and analytics practices. The company is on the hunt for people to fill these positions, which are primarily business management roles. Thomas Duryea Logicalis has also promoted its general manager of managed services, Christopher Lafferty, to general manager of service delivery. He will be responsible for overseeing the managed services, outsourcing and cloud services practices. Both Zammit and Lafferty will report directly to Chanter. Thomas Duryea Logicalis most recently signed a partnership with Ivanti, that sees it distribute the vendor’s range of security solutions in the local market.